Recently we just released a security plugin called AIOWPS Country Blocking which is actually an addon for the All In One WP Security and Firewall plugin. This addon uses the latest global IP address and country data in the form of a professional and commercial database which achieves a 99.5% accuracy in being able to resolve an IP address to its country of origin. 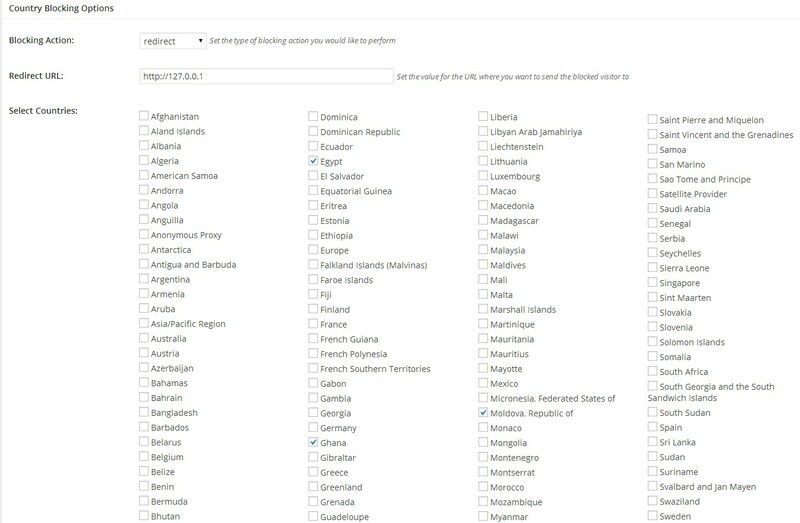 The way it works is that the plugin allows you to select which countries or regions you want to block. It will then monitor the front and back end of your site by checking every visitor’s country of origin based on their IP address. It will then block any visitors who are based in the countries which you selected in the settings. This solution is ideal not only from a security perspective where you know that certain countries are always problematic in terms of SPAM and hacking, but it is also a great way for merchants who specifically sell products to customers from certain countries to block any visitors which are not based in the country they wish to sell to. 1) Ensure that you have installed and activated the All In One WP Security and Firewall plugin. 2) Install and activate the AIOWPS Country Blocking addon. 6) Choose one or more countries or regions you want to block using the country list which contains more than 250 selections. And that’s all you need to do. The plugin will take care of the rest and do the country blocking for you. We’ve recently added another feature to this plugin which adds another dimension to the way you can use country blocking. On this page you can enable this feature and set the pages you wish to protect, as well as the redirect URL and which countries you wish to block for the protected pages. The secondary blocking feature shown above is particularly useful for people who only want to block certain countries from viewing their product sales pages due to shipment restrictions but they don’t want to fully block those countries from viewing other parts of their website. If you think this might be a feature which you want to add to your site’s security, you can go and buy the Country Blocking addon from here. Hello. how can i find the country blocking extension? Yeah i get all this spam from India. India is the largest source of spam in the world.